We provide online recharge service here to all China SIM cards including China mobile number, China Telecom number and China Unicom number. In addition, our service is nationwide coverage. 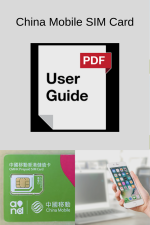 No matter you have China Mobile SIM card,China Telecom SIM card or China Unicom SIM card ( also support numbers starting with 133 and 153 ), or where you purchase your SIM card, such as Beijing, Shanghai, Guangzhou, Shenzhen, Tianjin, Wuhan, Shenyang, Chengdu, Chongqing, Hangzhou, Nanjing, Dalian, Qingdao, Changsha and other cities in mainland China ( cell-phone numbers belonging to China Mobile Corporate and China Unicom Corporate ), your airtime can be refilled anywhere through our service. No matter your China cell phone can or can't make international calls, IP Unit for International Calls can be used on your cell phone to call overseas at the lowest rates below. We email you instructions and a password. If you are in China, please click top up form here. 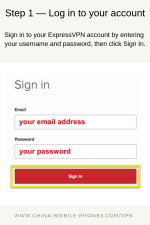 Important: Enter a valid e-mail address. The confirmation letter/Receipts will be sent to this email address. It also costs $0.05/RMB0.30 per minute on your cell phone account. Your cell phone must have credit to access IP calling account. 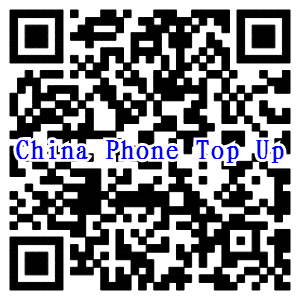 Important: we recharge China Mobile, China Unicom or China Telecom numbers from different Chineses cities. Recharge hours are between 8:30 am to 17:30 pm (Monday to Friday). During these hours, airtime will be added to your cell phone number within two hours and a confirmation email will be sent to you to indicate when the recharge is complete. Our Paypal merchant name on your credit card statement is 程 宇清. It is payers` responsbility to check a China cell number/a SIM card`s validation. THE ORDER CANNOT BE CANCELLED (NO REFUND) AFTER CREDIT RECHARGED ON A CHINA CELL PHONE NUMBER GAVE ON THE ORDER FORM. This is a service in conjunction with China Mobile, China Unicom and China Telecom Corporate. Distance recharge system is operated by China Mobile, China Unicom and China Telecom Corporate and China Mobile Phones is not responsible for recharge outcomes or disputes. I declare that I am the credit card holder and that I am authorized to sign for the full value of this order. I agree to pay for all charges incurred by me. I agree to not hold China Mobile Phones ( Merchant Name on Your Statement is 程 宇清) responsible for losses, damages or liability (including special actual or consequential damages) in the event that the SIM card does not function or is not used properly. I understand that China Mobile Phones does not extend any express or implied warranties. By entering my initials below, I authorize China Mobile Phones to process my credit card for all charges I have incurred under the terms of this agreement.